This article is Delta Airlines Minneapolis Vegas Winter Experience. 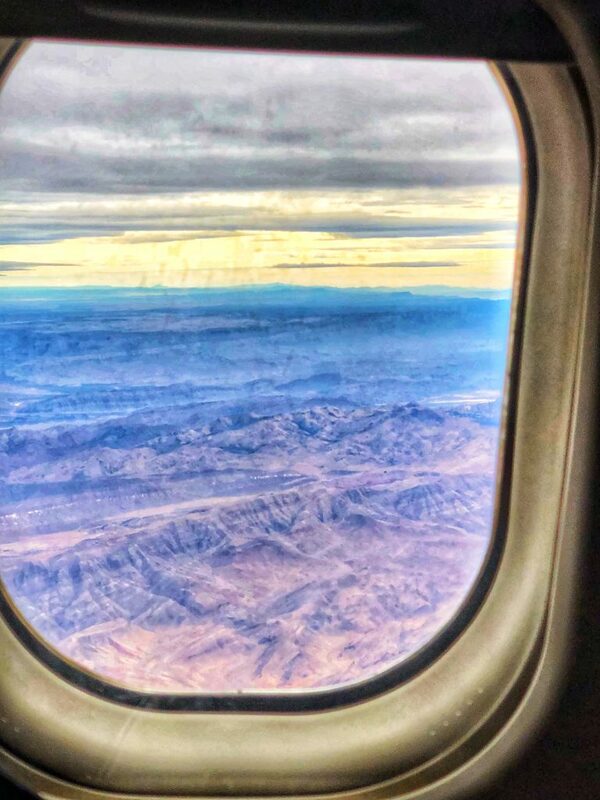 It is an overview of my experience flying Delta from Minneapolis to Las Vegas in the economy cabin. This flight is part of my Las Vegas Winter Experience Trip Report. I booked my Delta Airlines Minneapolis Vegas Winter Experience for just under $300. 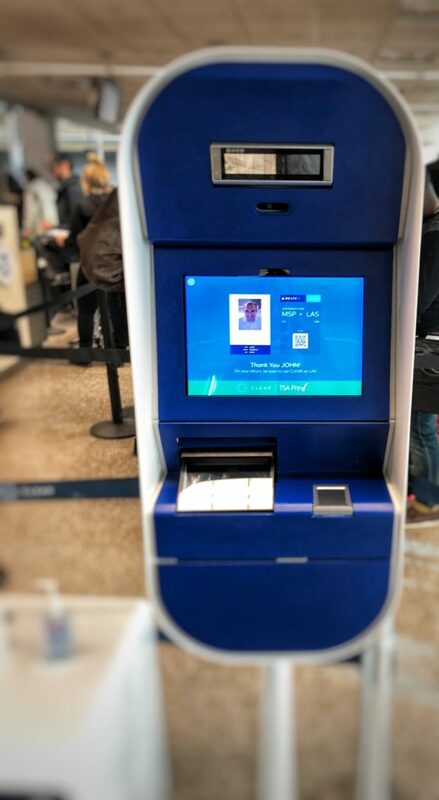 It was possible to redeem miles for the flight; however, the redemption amounts were high, so it made more sense to pay cash as the airfare was less than $300. 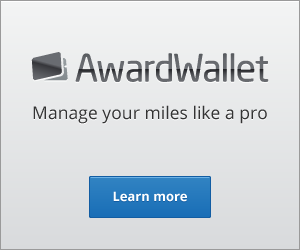 You might consider using credit card points from BarclayCard, Capital One Venture Card or US Bank credit card. Minneapolis to Las Vegas is a heavy elite route so upgrades are generally not available unless you are a Diamond member. I am a Platinum so I ended up being #9 out of 30 for zero seats. I was able to select a Comfort+ seat immediately after my reservation ticketed. 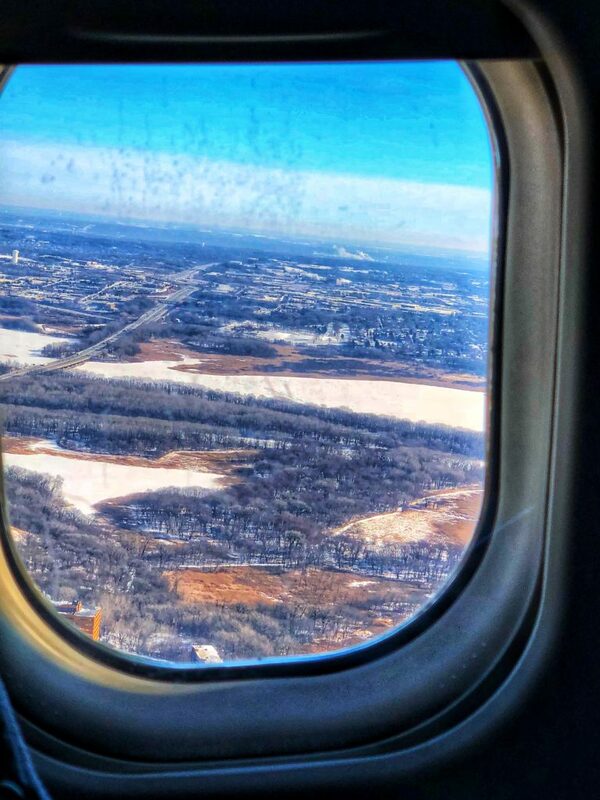 I arrived at MSP airport about one and a half hours before my Delta Airlines Minneapolis Vegas Winter Experience. The check in area was very busy at that time. The security wait times were 20-30 minutes. The line near Delta was a lot longer than the line by American. I checked in using the app about 24 hours before the flight so I did not need to visit the check in area. 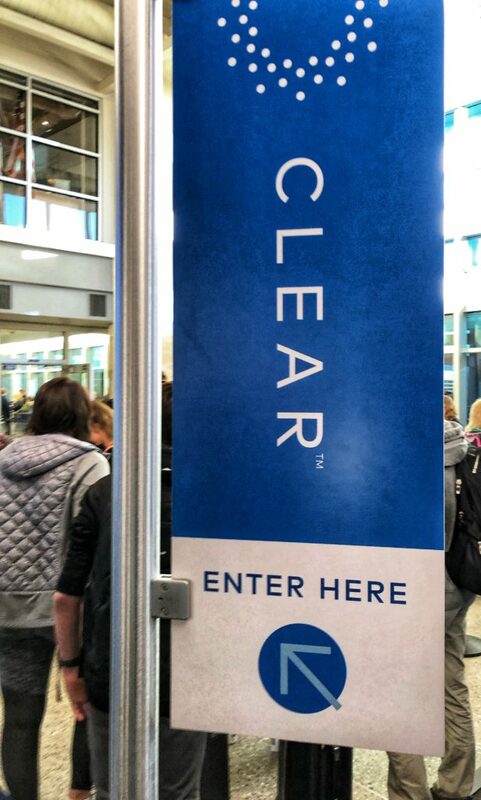 I walked right up to the security area thanks to CLEAR, which allows you to confirm your identity using your fingerprint instead of having a TSA agent check your identification card. I walked up to the CLEAR agent who asked me to place my finger on the reader followed by my boarding pass. Once that was complete, the agent escorted me to the Pre-Check Line where the TSA Agent waived me through. After waiting for about three minutes, I cleared the security line and entered the terminal. 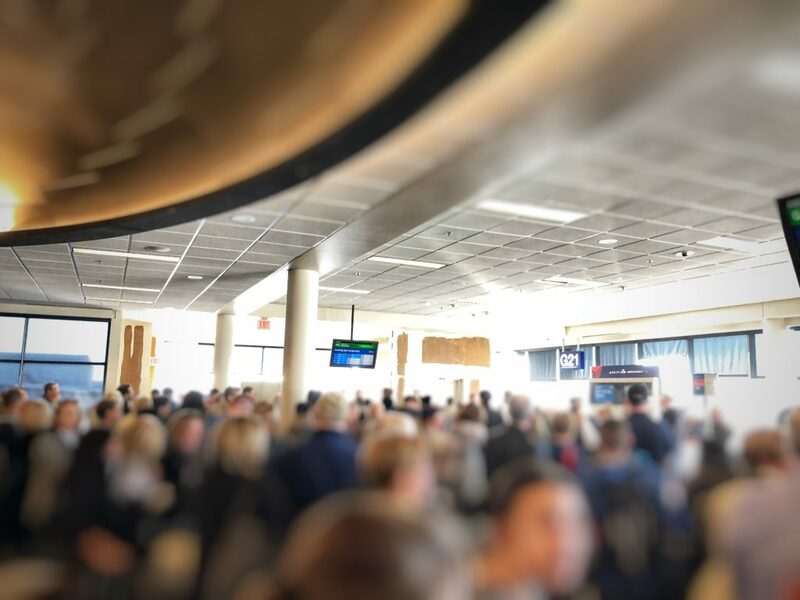 I visited the Priority Pass Lounge PGA Golf Club Minneapolis and got a $15 voucher for food, which I used at French Meadow before quickly stopping off at Escape Lounge for an espresso and bottle of water before making my way to the gate. The gate area for Delta Airlines Minneapolis Vegas Experience was very busy. People were standing everywhere and there were no seats available when I arrived. 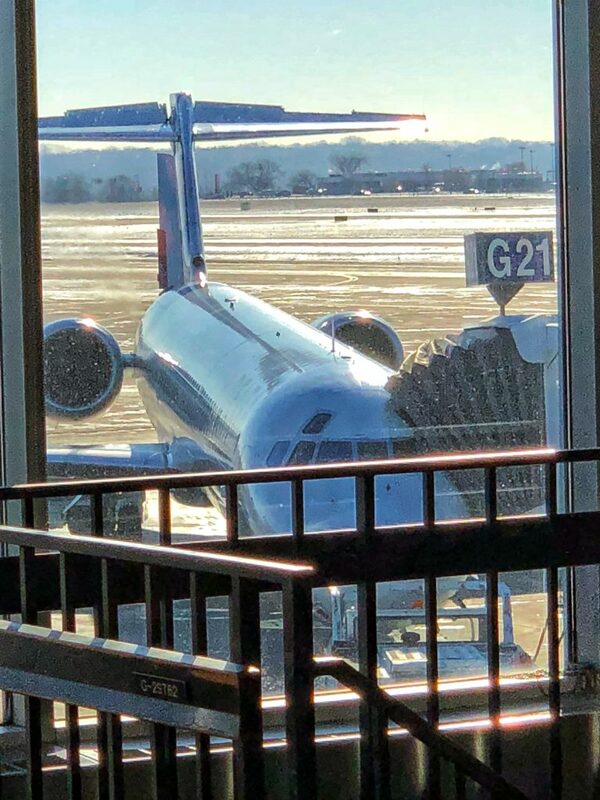 Two flights were boarding at the same time at the two gates next to each other, which made for a challenging boarding experience. I joined the line when Sky Priority was invited to board. After waiting in line for about three or four minutes, I reached the gate agent who welcomed me and asked me to scan my boarding pass. When I scanned it, she used my name and she thanked me for my loyalty to Delta and invited me to board. I made my way into the jet bridge before reaching the front of the plane. Two flight attendants provided a warm welcome on board. I located my seat and relaxed and edited photos during the boarding process. 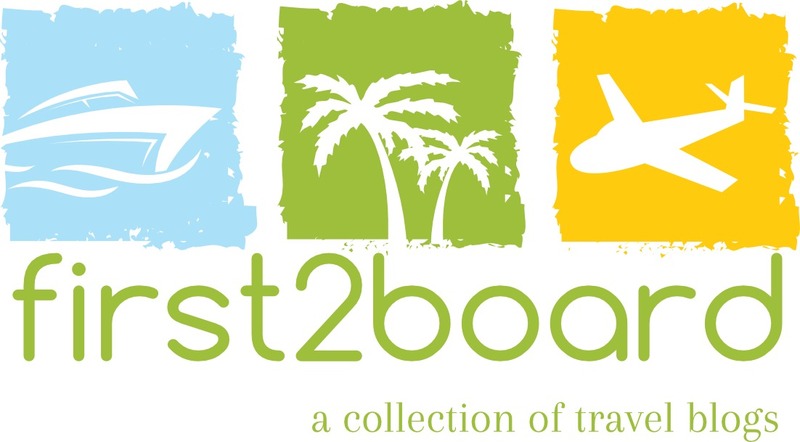 The boarding process lasted around 30 minutes. The door was closed on time and the flight attendants prepared the airplane for departure. There was about a 12-minute taxi to one of the further runways before the plane was up in the air. 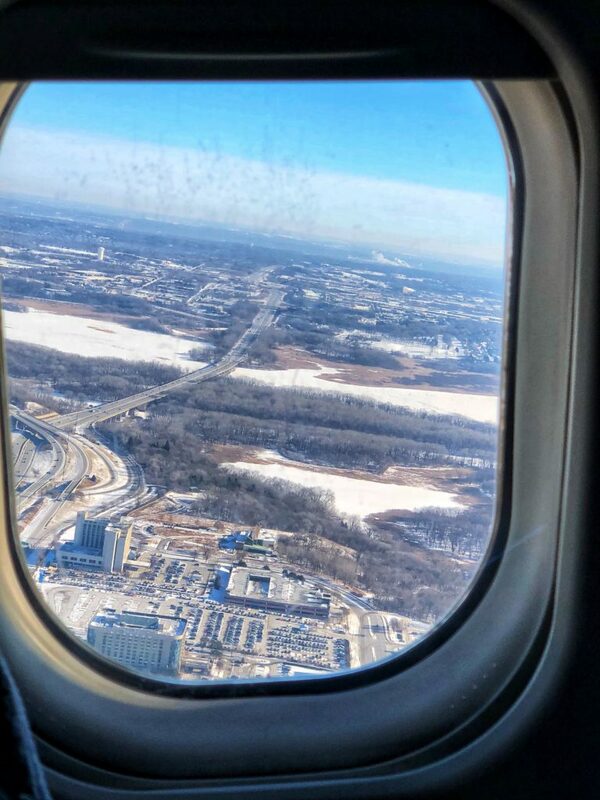 I had an aisle seat, but the person sitting next to me opened the window at take-off, so I snapped a couple pictures once we were up in the air. Despite it being a bitter cold -5 or so, it looks pretty nice from up in the air. 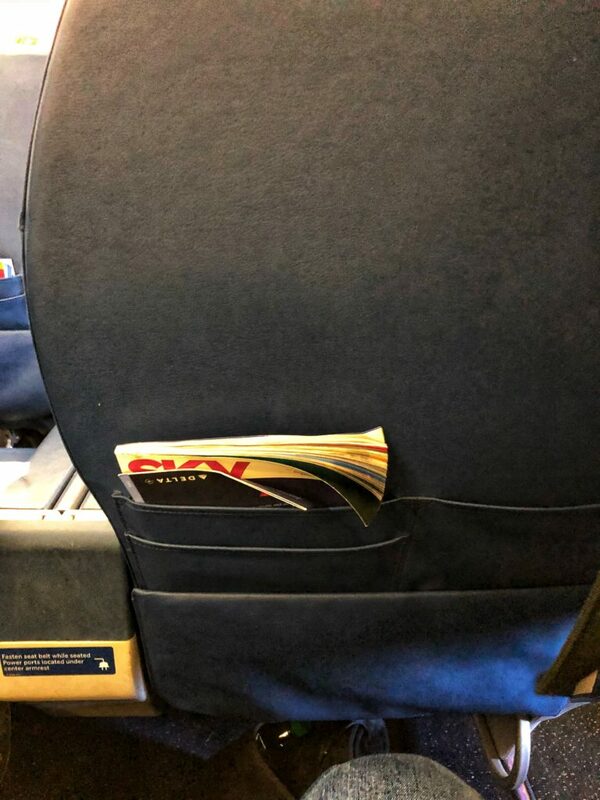 I was assigned a Delta Comfort+ Seat in the first row of the economy cabin on the MD90 aircraft for my Delta Airlines Minneapolis Vegas Winter Experience. The seat was a regular economy seat that has recline and plenty of legroom thanks to it being at the front of the cabin. A power port was located below the seat and offered an AC power port. The aircraft offered WiFi and streaming entertainment via Delta Studio. Once the flight was up in the air, the flight attendants started the beverage service. A snack basket was offered to all the passengers in the Comfort+ section. The snack basket included chips, nuts, bananas and cookies. 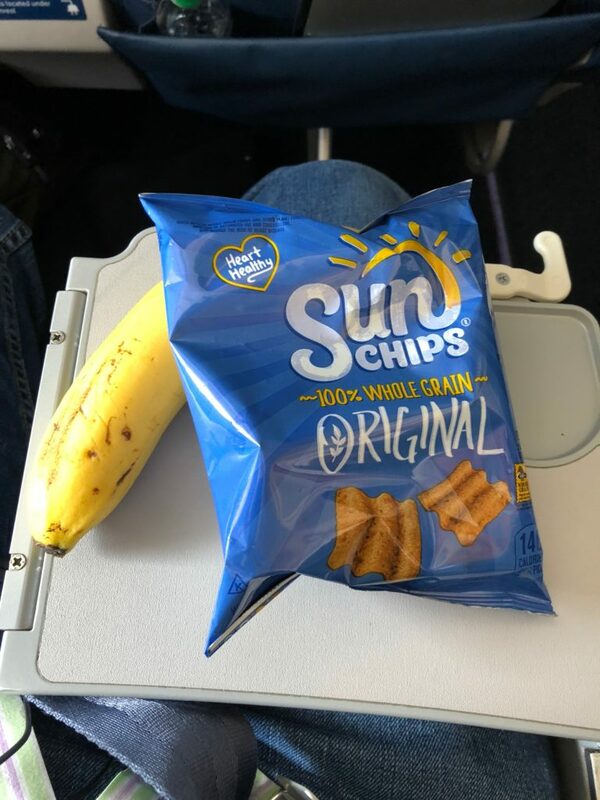 I selected Sun Chips and a banana. The banana was fresh and sweet and it had a good taste. I saved the chips for later. 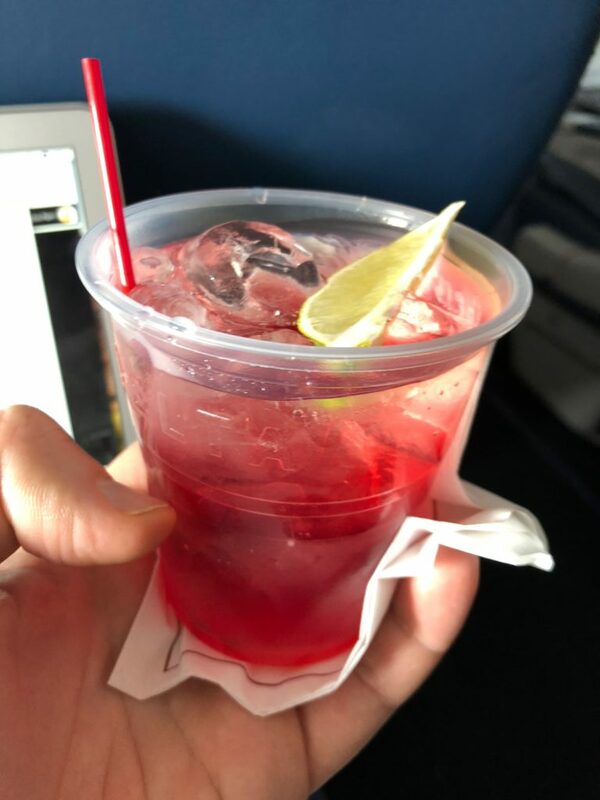 A flight attendant offered a cocktail. I ordered a Bloody Mary. 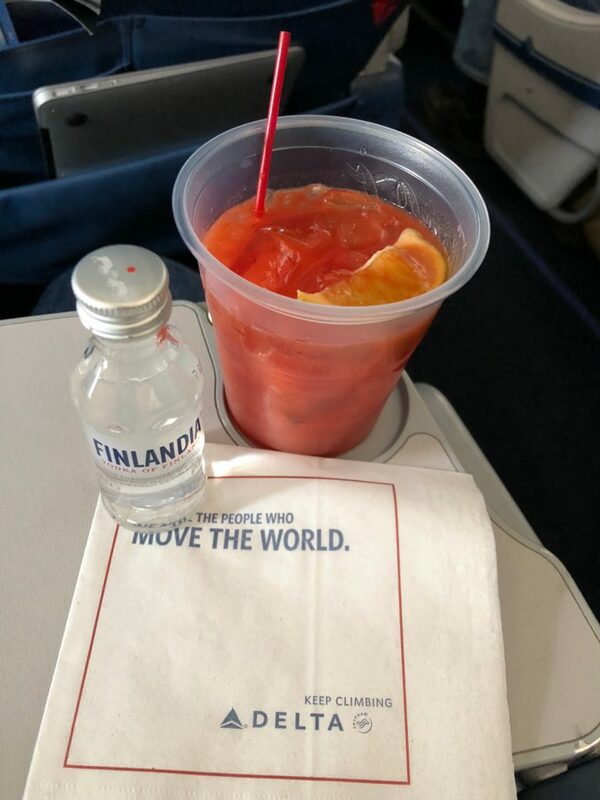 The flight attendant prepared it promptly with the vodka mini on the side so I could mix the drink to my liking. The drink was served in a clear plastic cup with ice. The mix was fresh and had a good taste. The vodka was Finlanda and it was excellent. The drink was garnished with a lime wedge. After the flight attendants completed the initial service, they picked up the used cups and trash. The flight attendants circulated the cabin a couple times during the flight and offered additional beverages one time. I used my laptop to catch up on some work during the flight. The flight was uneventful and I was able to get a lot of work done. 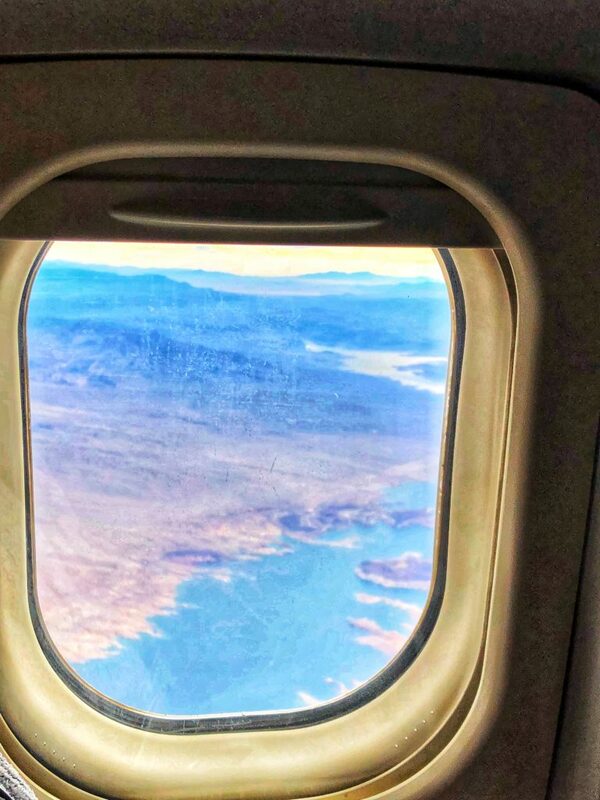 As the airplane approached Las Vegas, the flight attendants prepared for landing. The flight landed ahead of schedule and there was a medium length taxi to a gate. 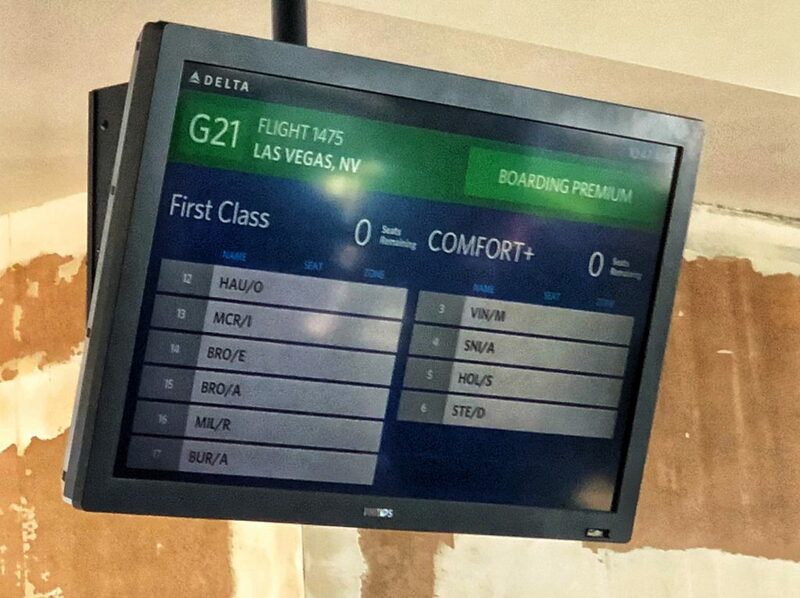 Upon arrival at the gate, the door was opened, a gate agent made a brief announcement before wishing passengers a good time in Las Vegas. The flight attendants thanked me as I departed the plane. I made my way to the transportation area outside of baggage claim and utilized a UBER to go to my hotel. My Delta Airlines Minneapolis Vegas Winter Experience was fun overall. The flight attendants were polite and it was nice that they offered a second round of drinks on the flight. The seat was comfortable and I was able to work during the flight. It is nice that you can get free cocktails and snacks in the Comfort+ section on Delta.